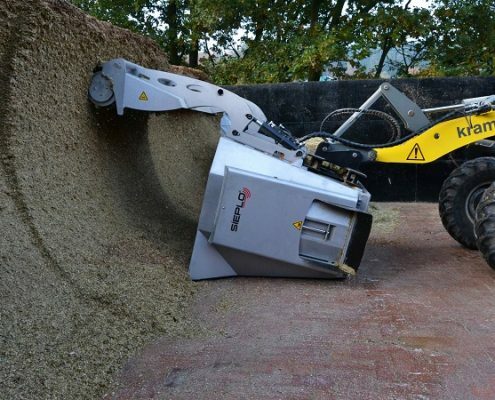 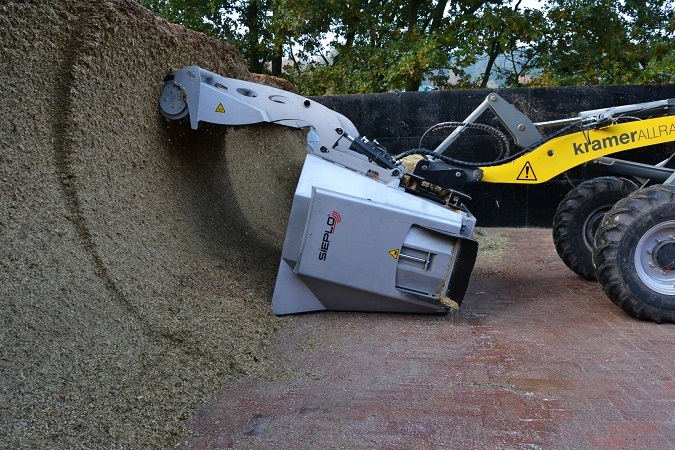 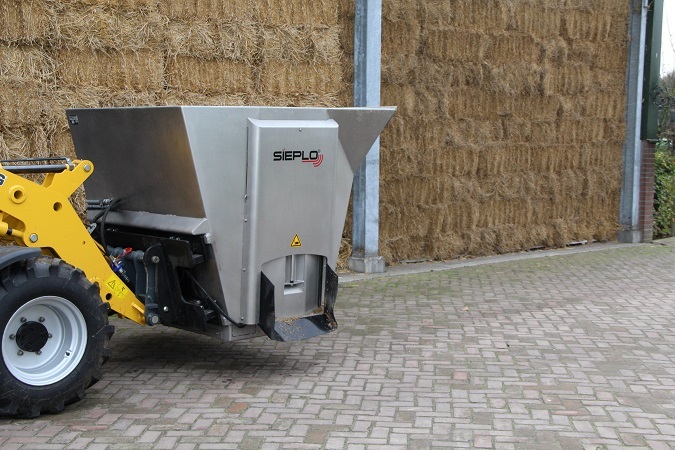 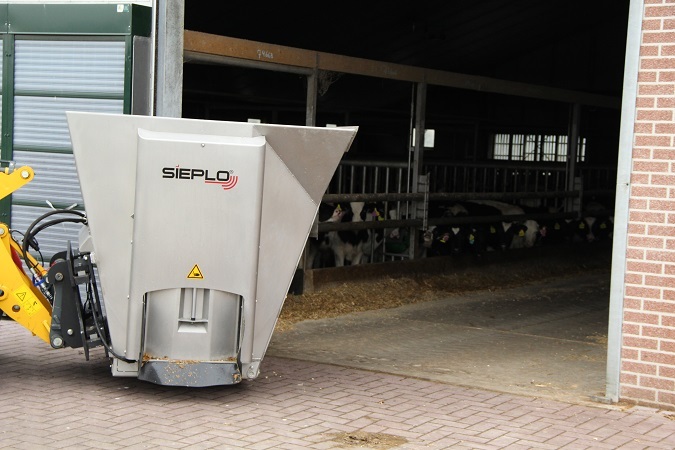 Manufactured from stainless steel in The Netherlands, the Sieplo bucket with vertical auger mixer is the ideal solution for cutting, mixing, weighing and dispensing of feed including maize, grass, straw, alfalfa and pellets. 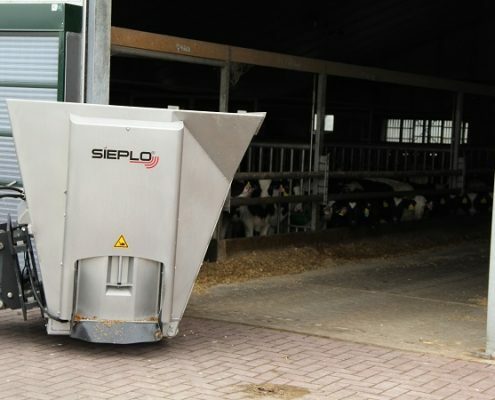 Allowing for the extraction of up to 4000 litres* of feed from the pit in one single visit helps to improve productivity whilst the vertical mixing system creates a light and homogeneous mixture. 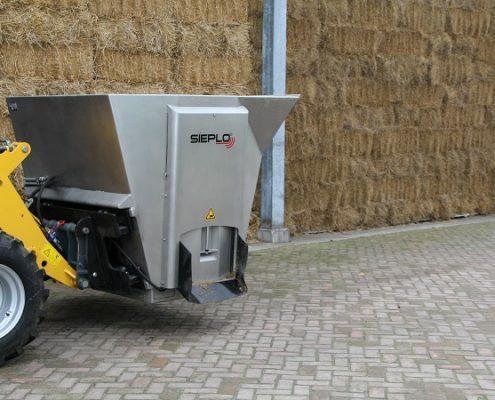 The Sieplo mixer bucket is suitable for a range of loaders, forklifts and tractors, the bucket weighs and dispenses the mixed feed whilst being driven.